The secret behind 360º/VR videos and ads is surprisingly simple – it makes you feel like you’re actually there. 360º/VR content displays a spherical scenario, where a special 360º video camera has prerecorded all possible angles of the environment that you like to capture. In other words, it gives your audience the chance to experience your product in the closest way possible – which is a great marketing opportunity for any brand. 360º/VR videos and adverts provide a richer media experience, driving more interaction and offering your brand a completely new way of storytelling. The beauty of 360º videos is that there are several ways to view them: by watching the video in a Cardboard viewer, which allows a 3D-interactive experience, with your finger on mobile or with your mouse on desktop (Chrome, Opera, and Firefox browsers). 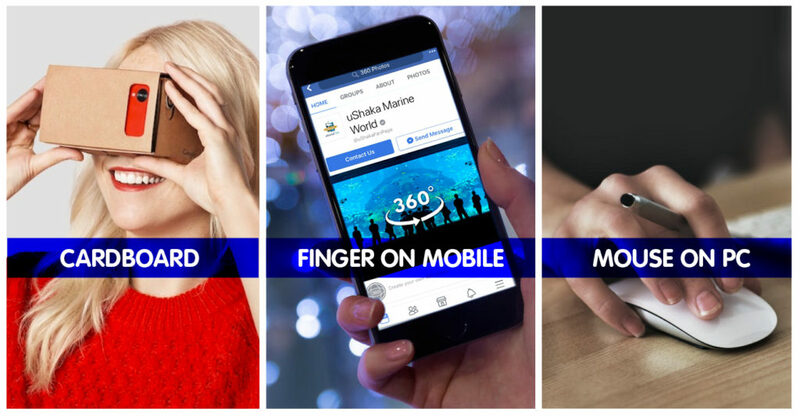 WHY SHOULD BRANDS LEVERAGE 360º VR CONTENT? The rising trend of hypervisual content is a massive driving force for brands nowadays, as consumers (especially millennials) positively view brands that are more likely to engage with brands using in advertising in 360º and VR Experiences. Considering that Facebook and YouTube are the biggest “user-generated” libraries of 360º/VR Videos, and even started combining them it with AI Technology, highlights tells us that users are the public is interested in immersive experiences. This should be a sign for all advertisers to start creating 360/VR content following in the footsteps of global brands like BMW, Oreo and Nikon, who have realised the importance of integrating 360º/VR within their content strategy, to effectively capture consumer attention. According to a case study by Magnifyre and StoryUP VR, when content in 360º form is compared with identical content in fixed frame video, 360º content was favoured by users nearly 30 percent more. Upwards of 50 percent more complete video views. Nearly 5 percent boost in click-through rate (CTR). Around 40 percent reduction in cost per impression (CPI). Opportunities to showcase new products, promote destinations, and share adventures. These results aren’t surprising when you consider that 360º/VR content engages your target audience in ways that traditional display is unable to and can never do. 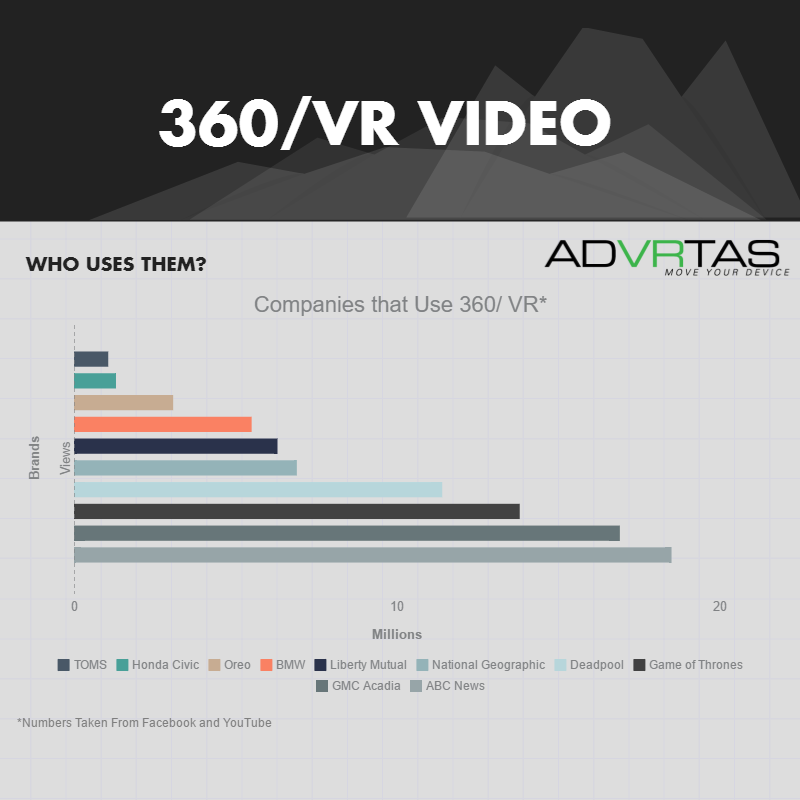 HOW HAVE OUR CLIENTS USED 360º/VR CONTENT? Within the framework of Springfield Value Centre’s Coupon Carnival Campaign, where users could enter to win a trip to experience Rio de Janeiro’s famous Carnival, TNNG created an engaging 360º video ad that would teleport Facebook users to Brazil. The advert helped increase competition entries as well as increase brand awareness for the shopping centre. As part of Umlazi’s “Celebrate Great” campaign, TNNG’s told the story of a ‘day in the life’ of an Umlazi local who wakes up ‘already Great’ and as a frequent shopper of at Umlazi Mega City who lives in Umlazi goes through her day Celebrating her enhanced Greatness. This concept was showcased through the World’s first ever 360º Music Video. TNNG which followed her ‘Greatness’ a shopper from home to the Umlazi Mega City, filming in a 360º view format, with the ultimate goal to showcase the highlighting the variety of shops, brands, eateries and live entertainment at the mall, in a unique way to drive customer engagement. 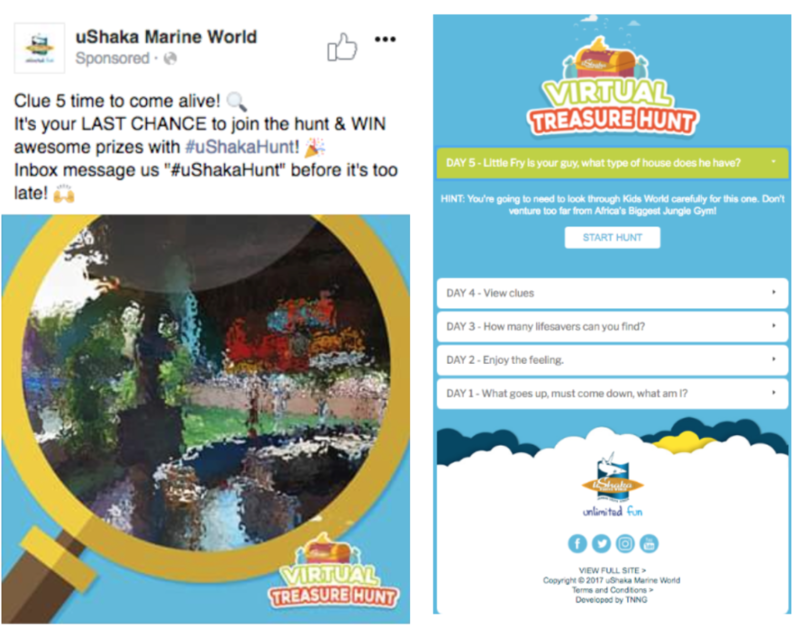 With the goal in mind of increasing customer engagement and attract more users to visit the park, TNNG launched a 360º Virtual Treasure Hunt competition. 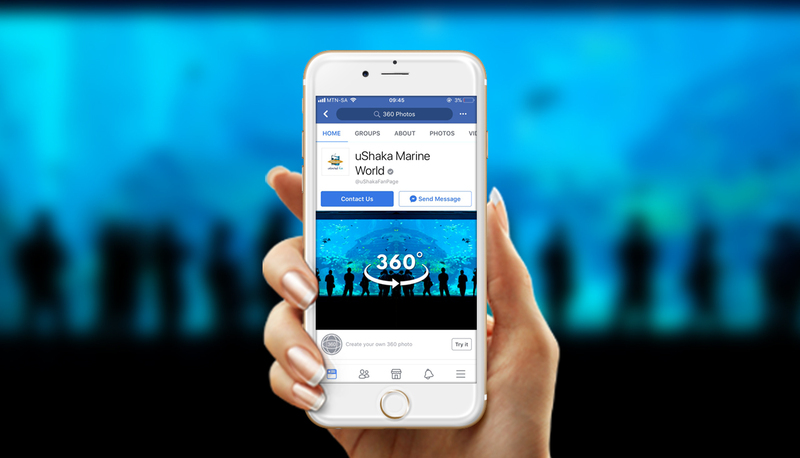 Integrating Google Street View Technology into our Virtual Reality Tour has helped to the success of a fun and engaging social media campaign, promoting uShaka’s assets and further expanding their customer database. During a 5 day period TNNG created social posts notifying uShaka’s audience of the upcoming hunt. 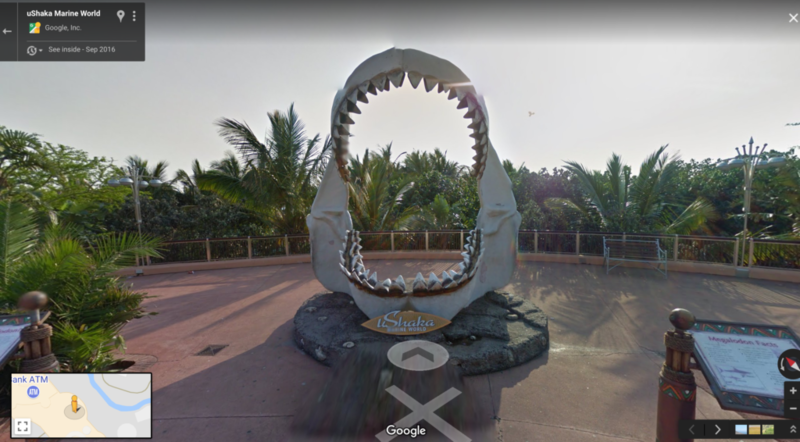 Clues were released sporadically which took entrants on a treasure hunt through uShaka’s Google Street View to find the missing words and win some “lucky draw” prizes. 360º/VR content marketing is your opportunity to improve your brand experience within a reasonable budget. Are you inspired? – Get in touch with us to help you maximise the power of spherical videos and be one step ahead of your competitors.